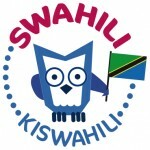 The Swahili Language is a Bantu language spoken by about 35 million people in Tanzania, Burundi, Congo (Kinshasa) Kenya, Mayotte, Mozambique, Oman, Rwanda, Somalia, South Africa, Uganda, UAE and the USA. 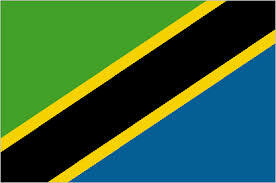 Swahili is an official language of Tanzania, Uganda and Kenya and is used as a lingua franca throughout East Africa. The name Swahili comes from the Arabic word sawāhil (coasts) and the language contains a lot of vocabulary from Arabic, Persian, Malagasy, English, German and Portuguese. The earliest known manuscript in Swahili, a poetic epic, was written in the Arabic script and dates from 1728. During the the 19th century Swahili was used as the main language of administration by the European colonial powers in East Africa and under their influence the Latin alphabet was increasingly used to write it. The first Swahili newspaper, Habari ya Mwezi, was published by missionaries in 1895.